Heated Seats, Flex Fuel, Back-Up Camera, Alloy Wheels, SMARTPHONE INTEGRATION, PREMIUM PACKAGE, Power Liftgate, Full-Time 4MATIC® All-Wheel Drive, Turbo. SCHOMP AUTOMOTIVE GROUP: ONE PRICE. ONE PERSON. ONE HOUR. It's a promise we pioneered to consistently identify, respect, and exceed our clients' expectations. Seamless transactions with no surprises it's car buying redefined. Experience it firsthand only at Schomp Automotive. WHY BUY FROM MERCEDES-BENZ OF FARMINGTON? Mercedes-Benz of Farmington is a state-of-the-art facility that reflects the pristine quality of the brand we sell. Stop into our dealership to browse around our inventory or pick our your new luxury car today at 555 N. West Bourne Circle in Farmington, UT or call us at (801) 447-3300. OPTION PACKAGES PREMIUM PACKAGE KEYLESS GO®, Blind Spot Assist, Heated Front Seats, SIRIUSXM Satellite Radio, HANDS-FREE ACCESS, SMARTPHONE INTEGRATION Android Auto, Apple CarPlay, Smartphone Integration (14U). The 2019 Mercedes-Benz GLA is agile, adventurous and adaptable. Taut, trim and muscular, the GLA is big on style from its iconic grille to its LED taillamps. Big 18in or 19in wheels and black fender flares lend a confident stance, while chrome and aluminum add elegant accents to the bumpers and roof. With available hands-free access, just a kick under the bumper can open the standard power liftgate. It's a grand opening to a generous 43.6 cu ft of cargo room with the rear seats folded, or a generous trunk with all five seats in use. Under the hood, you’ll find turbo power and two liters of pure energy. With 208 turbocharged horsepower, the GLA quenches your thirst for performance with a minimal appetite for fuel. Advanced direct injection and multispark ignition self-tune on the fly, to keep your enthusiasm at full boost. The 7G-DCT transmission offers the smooth refinement of an automatic with sporty reflexes. Its dual-clutch design shifts faster than a human can, while its shift paddles let you take charge of its seven speeds anytime. Available variable-torque 4MATIC® all-wheel drive can sense the very onset of wheel slip, and instantly reapportion up to half of the engine's power to the rear wheels on demand, plus off-road mode makes the GLA even more capable. Dynamic select dials in the GLA's performance character with the tap of a console button. Throttle, shifting and more sharpen in Sport mode, ease up in ECO, keep calm in Comfort and there's even a mode you can set up yourself. The GLA offers a range of convenient features including an 8in color display, Bluetooth® integration, Apple CarPlay and Android Auto compatibility, remote start, remote lock/unlock and built-in Wi-Fi.Heated Seats, Flex Fuel, Back-Up Camera, Alloy Wheels, SMARTPHONE INTEGRATION, PREMIUM PACKAGE, Power Liftgate, Full-Time 4MATIC® All-Wheel Drive, Turbo. PREMIUM PACKAGE KEYLESS GO®, Blind Spot Assist, Heated Front Seats, SIRIUSXM Satellite Radio, HANDS-FREE ACCESS, SMARTPHONE INTEGRATION Android Auto, Apple CarPlay, Smartphone Integration (14U). Heated Seats, iPod/MP3 Input, CD Player, HEATED FRONT SEATS , SMARTPHONE INTEGRATION , REAR SPOILER , WHEELS: 18 5-SPOKE ALLOY, Full-Time 4MATIC® All-Wheel Drive, Back-Up Camera, Turbo Charged Engine. SCHOMP AUTOMOTIVE GROUP: ONE PRICE. ONE PERSON. ONE HOUR. It's a promise we pioneered to consistently identify, respect, and exceed our clients' expectations. Seamless transactions with no surprises it's car buying redefined. Experience it firsthand only at Schomp Automotive. WHY BUY FROM MERCEDES-BENZ OF FARMINGTON? Mercedes-Benz of Farmington is a state-of-the-art facility that reflects the pristine quality of the brand we sell. Stop into our dealership to browse around our inventory or pick our your new luxury car today at 555 N. West Bourne Circle in Farmington, UT or call us at (801) 447-3300. OPTION PACKAGES HEATED FRONT SEATS, WHEELS: 18 5-SPOKE ALLOY Tires: P225/40R18, SMARTPHONE INTEGRATION Android Auto, Apple CarPlay, Smartphone Integration (14U), REAR SPOILER. The 2019 Mercedes-Benz CLA is designed to capture admiring eyes. Its profile is sleek like a coupe, yet it offers room for five and the innovation that defines a Mercedes-Benz. From its diamond-block grille to its LED taillamps, there may be no car on the road offering such eye-catching style. From its wing-like dash, big yet sleek 8in screen and high-back power front sport seats, the CLA cabin sets you apart from the crowd. A 208hp turbo inline-4 turns less fuel into more torque with advanced direct injection and rapid-multispark ignition. You also have the choice of the AMG® CLA 45's handcrafted engine pours out 375hp and 26.1 psi of maximum turbo boost, the most of any 4-cylinder engine in production. ECO Start/Stop automatically pauses the engine at red lights to save fuel, while dynamic select lets you dial in a mode to fit your driving mood. The 7-speed DCT transmission gives you fuel-friendly and fun like a manual, with the relaxing comfort of an automatic. The racing-derived dual-clutch design makes every shift lightning-quick yet liquid-smooth. Quick to respond and remarkably efficient, variable-torque 4MATIC® all-wheel drive can take this car to higher levels of agility and all-season confidence. The CLA offers a range of convenient features including an 8in color screen, Bluetooth® integration, navigation, premium sound system, Apple CarPlay and Android Auto compatibility, remote start, remote lock/unlock and built-in Wi-Fi. You’ll also find a comprehensive suite of safety features such as active brake assist, attention assist, blind spot assist, lane keeping assist, distance assist, and active cruise control.Heated Seats, iPod/MP3 Input, CD Player, HEATED FRONT SEATS , SMARTPHONE INTEGRATION , REAR SPOILER , WHEELS: 18 5-SPOKE ALLOY, Full-Time 4MATIC® All-Wheel Drive, Back-Up Camera, Turbo Charged Engine. HEATED FRONT SEATS, WHEELS: 18 5-SPOKE ALLOY Tires: P225/40R18, SMARTPHONE INTEGRATION Android Auto, Apple CarPlay, Smartphone Integration (14U), REAR SPOILER. Moonroof, Heated Seats, Back-Up Camera, iPod/MP3 Input, CD Player, SMARTPHONE INTEGRATION, BURL WALNUT WOOD TRIM, REAR SPOILER, PANORAMA SUNROOF, Full-Time 4MATIC® All-Wheel Drive, Turbo Charged Engine, PREMIUM PACKAGE. SCHOMP AUTOMOTIVE GROUP: ONE PRICE. ONE PERSON. ONE HOUR. It's a promise we pioneered to consistently identify, respect, and exceed our clients' expectations. Seamless transactions with no surprises it's car buying redefined. Experience it firsthand only at Schomp Automotive. WHY BUY FROM MERCEDES-BENZ OF FARMINGTON? Mercedes-Benz of Farmington is a state-of-the-art facility that reflects the pristine quality of the brand we sell. Stop into our dealership to browse around our inventory or pick our your new luxury car today at 555 N. West Bourne Circle in Farmington, UT or call us at (801) 447-3300. OPTION PACKAGES PREMIUM PACKAGE KEYLESS GO®, Blind Spot Assist, Heated Front Seats, SiriusXM Satellite Radio, HANDS-FREE ACCESS, WHEELS: 18 5-SPOKE ALLOY Tires: P225/40R18, SMARTPHONE INTEGRATION Android Auto, Apple CarPlay, Smartphone Integration (14U) The 2019 Mercedes-Benz CLA is designed to capture admiring eyes. Its profile is sleek like a coupe, yet it offers room for five and the innovation that defines a Mercedes-Benz. From its diamond-block grille to its LED taillamps, there may be no car on the road offering such eye-catching style. From its wing-like dash, big yet sleek 8in screen and high-back power front sport seats, the CLA cabin sets you apart from the crowd. A 208hp turbo inline-4 turns less fuel into more torque with advanced direct injection and rapid-multispark ignition. You also have the choice of the AMG® CLA 45's handcrafted engine pours out 375hp and 26.1 psi of maximum turbo boost, the most of any 4-cylinder engine in production. ECO Start/Stop automatically pauses the engine at red lights to save fuel, while dynamic select lets you dial in a mode to fit your driving mood. The 7-speed DCT transmission gives you fuel-friendly and fun like a manual, with the relaxing comfort of an automatic. The racing-derived dual-clutch design makes every shift lightning-quick yet liquid-smooth. Quick to respond and remarkably efficient, variable-torque 4MATIC® all-wheel drive can take this car to higher levels of agility and all-season confidence. The CLA offers a range of convenient features including an 8in color screen, Bluetooth® integration, navigation, premium sound system, Apple CarPlay and Android Auto compatibility, remote start, remote lock/unlock and built-in Wi-Fi. You’ll also find a comprehensive suite of safety features such as active brake assist, attention assist, blind spot assist, lane keeping assist, distance assist, and active cruise control.Moonroof, Heated Seats, Back-Up Camera, iPod/MP3 Input, CD Player, SMARTPHONE INTEGRATION, BURL WALNUT WOOD TRIM, REAR SPOILER, PANORAMA SUNROOF, Full-Time 4MATIC® All-Wheel Drive, Turbo Charged Engine, PREMIUM PACKAGE. Heated Seats, Back-Up Camera, Flex Fuel, iPod/MP3 Input, Full-Time 4MATIC® All-Wheel Drive, WHEELS: 18 5-SPOKE MULTI-SPOKE, REAR SPOILER, BLIND SPOT ASSIST, SMARTPHONE INTEGRATION, Turbo, KEYLESS GO®, HEATED FRONT SEATS. KEY FEATURES INCLUDE Full-Time 4MATIC® All-Wheel Drive, Back-Up Camera, Turbocharged, Flex Fuel, iPod/MP3 Input. Mercedes-Benz CLA 250 with Polar Silver Metallic exterior and Crystal Grey MB-Tex interior features a 4 Cylinder Engine with 208 HP at 5500 RPM*. OPTION PACKAGES HEATED FRONT SEATS, KEYLESS GO®, BLIND SPOT ASSIST, WHEELS: 18 5-SPOKE MULTI-SPOKE Tires: P225/40R18, SMARTPHONE INTEGRATION Android Auto, Apple CarPlay, Smartphone Integration (14U), REAR SPOILER. EXPERTS RAVE It offers solid performance, good handling, and a cool style that closely resembles the much more expensive CLS. -KBB.com. WHO WE ARE Mercedes-Benz of Farmington is a state-of-the-art facility that reflects the pristine quality of the brand we sell. Stop into our dealership to browse around our inventory or pick our your new luxury car today at 555 N. West Bourne Circle in Farmington, UT or call us at (801) 447-3300. Horsepower calculations based on trim engine configuration. Please confirm the accuracy of the included equipment by calling us prior to purchase. Even when still, it is evident the 2018 Mercedes-Benz CLA boasts athletic performance in its restyled, refined shape. With aggressive new styling, the CLA demands attention with 18in AMG® wheels and a chrome diamond-block grille. Available new LED headlamps integrate LED Daytime Running Lamps that arch into the side profile, giving the CLA a sporty edge. The 208hp 2.0L inline-4 engine combines turbocharging with numerous advances to deliver more power from less fuel. Its rapid-multispark ignition and high-pressure Direct Injection can fine-tune themselves in milliseconds. Twin-scroll turbo quickly spins up to 230,000 rpm to boost response, with all 258 lb-ft of torque on tap at just 1,250 rpm. An ECO Start/Stop system automatically shuts off the engine at stoplights and other idle situations, to save fuel and reduce emissions. Comfort isn’t sacrificed for luxury, the CLA cabin is truly a well-crafted home created with the driver as the main focus. Deep contours and integrated head restraints spill from the front seats to the back, giving optimum support to drive and passengers. Available Apple CarPlay and Android Audio bring entirely new interfaces to the CLA’s cockpit. An advanced system of 8 air bags includes dual two-stage front air bags, front side-impact head/torso air bags, dual front knee air bags, and side curtain air bags for both seating rows. The first system of its kind, ATTENTION ASSIST® continuously monitors different parameters of driving behavior, and can automatically alert the driver with both visual and audible warnings if it detects signs of drowsiness on long trips.Heated Seats, Back-Up Camera, Flex Fuel, iPod/MP3 Input, Full-Time 4MATIC® All-Wheel Drive, WHEELS: 18 5-SPOKE MULTI-SPOKE, REAR SPOILER, BLIND SPOT ASSIST, SMARTPHONE INTEGRATION, Turbo, KEYLESS GO®, HEATED FRONT SEATS. Full-Time 4MATIC® All-Wheel Drive, Back-Up Camera, Turbocharged, Flex Fuel, iPod/MP3 Input. Mercedes-Benz CLA 250 with Polar Silver Metallic exterior and Crystal Grey MB-Tex interior features a 4 Cylinder Engine with 208 HP at 5500 RPM*. HEATED FRONT SEATS, KEYLESS GO®, BLIND SPOT ASSIST, WHEELS: 18 5-SPOKE MULTI-SPOKE Tires: P225/40R18, SMARTPHONE INTEGRATION Android Auto, Apple CarPlay, Smartphone Integration (14U), REAR SPOILER. It offers solid performance, good handling, and a cool style that closely resembles the much more expensive CLS. -KBB.com. Even when still, it is evident the 2018 Mercedes-Benz CLA boasts athletic performance in its restyled, refined shape. With aggressive new styling, the CLA demands attention with 18in AMG® wheels and a chrome diamond-block grille. Available new LED headlamps integrate LED Daytime Running Lamps that arch into the side profile, giving the CLA a sporty edge. The 208hp 2.0L inline-4 engine combines turbocharging with numerous advances to deliver more power from less fuel. Its rapid-multispark ignition and high-pressure Direct Injection can fine-tune themselves in milliseconds. Twin-scroll turbo quickly spins up to 230,000 rpm to boost response, with all 258 lb-ft of torque on tap at just 1,250 rpm. An ECO Start/Stop system automatically shuts off the engine at stoplights and other idle situations, to save fuel and reduce emissions. Comfort isn’t sacrificed for luxury, the CLA cabin is truly a well-crafted home created with the driver as the main focus. Deep contours and integrated head restraints spill from the front seats to the back, giving optimum support to drive and passengers. Available Apple CarPlay and Android Audio bring entirely new interfaces to the CLA’s cockpit. An advanced system of 8 air bags includes dual two-stage front air bags, front side-impact head/torso air bags, dual front knee air bags, and side curtain air bags for both seating rows. The first system of its kind, ATTENTION ASSIST® continuously monitors different parameters of driving behavior, and can automatically alert the driver with both visual and audible warnings if it detects signs of drowsiness on long trips. Heated Seats, Flex Fuel, iPod/MP3 Input, Back-Up Camera, MATTE BLACK ASH WOOD TRIM , SMARTPHONE INTEGRATION , REAR SPOILER , PREMIUM PACKAGE , Turbo, Full-Time 4MATIC® All-Wheel Drive, WHEELS: 18 5-SPOKE ALLOY. SCHOMP AUTOMOTIVE GROUP: ONE PRICE. ONE PERSON. ONE HOUR. It's a promise we pioneered to consistently identify, respect, and exceed our clients' expectations. Seamless transactions with no surprises it's car buying redefined. Experience it firsthand only at Schomp Automotive. WHY BUY FROM MERCEDES-BENZ OF FARMINGTON? Mercedes-Benz of Farmington is a state-of-the-art facility that reflects the pristine quality of the brand we sell. Stop into our dealership to browse around our inventory or pick our your new luxury car today at 555 N. West Bourne Circle in Farmington, UT or call us at (801) 447-3300. OPTION PACKAGES PREMIUM PACKAGE KEYLESS GO®, Blind Spot Assist, Heated Front Seats, SiriusXM Satellite Radio, HANDS-FREE ACCESS, WHEELS: 18 5-SPOKE ALLOY Tires: P225/40R18, SMARTPHONE INTEGRATION Android Auto, Apple CarPlay, Smartphone Integration (14U), MATTE BLACK ASH WOOD TRIM, REAR SPOILER. The 2019 Mercedes-Benz CLA is designed to capture admiring eyes. Its profile is sleek like a coupe, yet it offers room for five and the innovation that defines a Mercedes-Benz. From its diamond-block grille to its LED taillamps, there may be no car on the road offering such eye-catching style. From its wing-like dash, big yet sleek 8in screen and high-back power front sport seats, the CLA cabin sets you apart from the crowd. A 208hp turbo inline-4 turns less fuel into more torque with advanced direct injection and rapid-multispark ignition. You also have the choice of the AMG® CLA 45's handcrafted engine pours out 375hp and 26.1 psi of maximum turbo boost, the most of any 4-cylinder engine in production. ECO Start/Stop automatically pauses the engine at red lights to save fuel, while dynamic select lets you dial in a mode to fit your driving mood. The 7-speed DCT transmission gives you fuel-friendly and fun like a manual, with the relaxing comfort of an automatic. The racing-derived dual-clutch design makes every shift lightning-quick yet liquid-smooth. Quick to respond and remarkably efficient, variable-torque 4MATIC® all-wheel drive can take this car to higher levels of agility and all-season confidence. The CLA offers a range of convenient features including an 8in color screen, Bluetooth® integration, navigation, premium sound system, Apple CarPlay and Android Auto compatibility, remote start, remote lock/unlock and built-in Wi-Fi. You’ll also find a comprehensive suite of safety features such as active brake assist, attention assist, blind spot assist, lane keeping assist, distance assist, and active cruise control.Heated Seats, Flex Fuel, iPod/MP3 Input, Back-Up Camera, MATTE BLACK ASH WOOD TRIM , SMARTPHONE INTEGRATION , REAR SPOILER , PREMIUM PACKAGE , Turbo, Full-Time 4MATIC® All-Wheel Drive, WHEELS: 18 5-SPOKE ALLOY. Heated Seats, Flex Fuel, iPod/MP3 Input, Back-Up Camera, MATTE BLACK ASH WOOD TRIM , SMARTPHONE INTEGRATION , REAR SPOILER , PREMIUM PACKAGE , Turbo Charged Engine, Full-Time 4MATIC® All-Wheel Drive, WHEELS: 18 5-SPOKE ALLOY. SCHOMP AUTOMOTIVE GROUP: ONE PRICE. ONE PERSON. ONE HOUR. It's a promise we pioneered to consistently identify, respect, and exceed our clients' expectations. Seamless transactions with no surprises it's car buying redefined. Experience it firsthand only at Schomp Automotive. WHY BUY FROM MERCEDES-BENZ OF FARMINGTON? Mercedes-Benz of Farmington is a state-of-the-art facility that reflects the pristine quality of the brand we sell. Stop into our dealership to browse around our inventory or pick our your new luxury car today at 555 N. West Bourne Circle in Farmington, UT or call us at (801) 447-3300. OPTION PACKAGES PREMIUM PACKAGE KEYLESS GO®, Blind Spot Assist, Heated Front Seats, SiriusXM Satellite Radio, HANDS-FREE ACCESS, WHEELS: 18 5-SPOKE ALLOY Tires: P225/40R18, SMARTPHONE INTEGRATION Android Auto, Apple CarPlay, Smartphone Integration (14U), MATTE BLACK ASH WOOD TRIM, REAR SPOILER. The 2019 Mercedes-Benz CLA is designed to capture admiring eyes. Its profile is sleek like a coupe, yet it offers room for five and the innovation that defines a Mercedes-Benz. From its diamond-block grille to its LED taillamps, there may be no car on the road offering such eye-catching style. From its wing-like dash, big yet sleek 8in screen and high-back power front sport seats, the CLA cabin sets you apart from the crowd. A 208hp turbo inline-4 turns less fuel into more torque with advanced direct injection and rapid-multispark ignition. You also have the choice of the AMG® CLA 45's handcrafted engine pours out 375hp and 26.1 psi of maximum turbo boost, the most of any 4-cylinder engine in production. ECO Start/Stop automatically pauses the engine at red lights to save fuel, while dynamic select lets you dial in a mode to fit your driving mood. The 7-speed DCT transmission gives you fuel-friendly and fun like a manual, with the relaxing comfort of an automatic. The racing-derived dual-clutch design makes every shift lightning-quick yet liquid-smooth. Quick to respond and remarkably efficient, variable-torque 4MATIC® all-wheel drive can take this car to higher levels of agility and all-season confidence. The CLA offers a range of convenient features including an 8in color screen, Bluetooth® integration, navigation, premium sound system, Apple CarPlay and Android Auto compatibility, remote start, remote lock/unlock and built-in Wi-Fi. You’ll also find a comprehensive suite of safety features such as active brake assist, attention assist, blind spot assist, lane keeping assist, distance assist, and active cruise control.Heated Seats, Flex Fuel, iPod/MP3 Input, Back-Up Camera, MATTE BLACK ASH WOOD TRIM , SMARTPHONE INTEGRATION , REAR SPOILER , PREMIUM PACKAGE , Turbo Charged Engine, Full-Time 4MATIC® All-Wheel Drive, WHEELS: 18 5-SPOKE ALLOY. Heated Seats, Back-Up Camera, Flex Fuel, PREMIUM PACKAGE, SATIN BROWN POPLAR WOOD TRIM, SMARTPHONE INTEGRATION, Aluminum Wheels, Full-Time 4MATIC® All-Wheel Drive, Power Liftgate, Turbo Charged Engine. SCHOMP AUTOMOTIVE GROUP: ONE PRICE. ONE PERSON. ONE HOUR. It's a promise we pioneered to consistently identify, respect, and exceed our clients' expectations. Seamless transactions with no surprises it's car buying redefined. Experience it firsthand only at Schomp Automotive. WHY BUY FROM MERCEDES-BENZ OF FARMINGTON? Mercedes-Benz of Farmington is a state-of-the-art facility that reflects the pristine quality of the brand we sell. Stop into our dealership to browse around our inventory or pick our your new luxury car today at 555 N. West Bourne Circle in Farmington, UT or call us at (801) 447-3300. OPTION PACKAGES PREMIUM PACKAGE KEYLESS GO®, Blind Spot Assist, Heated Front Seats, SIRIUSXM Satellite Radio, HANDS-FREE ACCESS, SMARTPHONE INTEGRATION Android Auto, Apple CarPlay, Smartphone Integration (14U) The 2019 Mercedes-Benz GLA is agile, adventurous and adaptable. Taut, trim and muscular, the GLA is big on style from its iconic grille to its LED taillamps. Big 18in or 19in wheels and black fender flares lend a confident stance, while chrome and aluminum add elegant accents to the bumpers and roof. With available hands-free access, just a kick under the bumper can open the standard power liftgate. It's a grand opening to a generous 43.6 cu ft of cargo room with the rear seats folded, or a generous trunk with all five seats in use. Under the hood, you’ll find turbo power and two liters of pure energy. With 208 turbocharged horsepower, the GLA quenches your thirst for performance with a minimal appetite for fuel. Advanced direct injection and multispark ignition self-tune on the fly, to keep your enthusiasm at full boost. The 7G-DCT transmission offers the smooth refinement of an automatic with sporty reflexes. Its dual-clutch design shifts faster than a human can, while its shift paddles let you take charge of its seven speeds anytime. Available variable-torque 4MATIC® all-wheel drive can sense the very onset of wheel slip, and instantly reapportion up to half of the engine's power to the rear wheels on demand, plus off-road mode makes the GLA even more capable. Dynamic select dials in the GLA's performance character with the tap of a console button. Throttle, shifting and more sharpen in Sport mode, ease up in ECO, keep calm in Comfort and there's even a mode you can set up yourself. The GLA offers a range of convenient features including an 8in color display, Bluetooth® integration, Apple CarPlay and Android Auto compatibility, remote start, remote lock/unlock and built-in Wi-Fi.Heated Seats, Back-Up Camera, Flex Fuel, PREMIUM PACKAGE, SATIN BROWN POPLAR WOOD TRIM, SMARTPHONE INTEGRATION, Aluminum Wheels, Full-Time 4MATIC® All-Wheel Drive, Power Liftgate, Turbo Charged Engine. 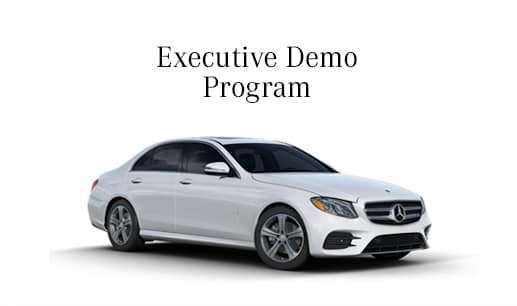 Moonroof, Nav System, Panoramic Roof, Full-Time 4MATIC® All-Wheel Drive, Back-Up Camera, BLIND SPOT ASSIST , GARAGE DOOR OPENER , WHEELS: 18 5-SPOKE W/BLACK ACCENTS, MULTIMEDIA PACKAGE, Turbo Charged Engine, PREMIUM PACKAGE. SCHOMP AUTOMOTIVE GROUP: ONE PRICE. ONE PERSON. ONE HOUR. It's a promise we pioneered to consistently identify, respect, and exceed our clients' expectations. Seamless transactions with no surprises it's car buying redefined. Experience it firsthand only at Schomp Automotive. WHY BUY FROM MERCEDES-BENZ OF FARMINGTON? 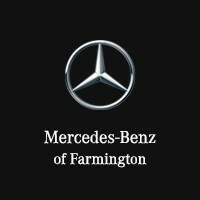 Mercedes-Benz of Farmington is a state-of-the-art facility that reflects the pristine quality of the brand we sell. Stop into our dealership to browse around our inventory or pick our your new luxury car today at 555 N. West Bourne Circle in Farmington, UT or call us at (801) 447-3300. OPTION PACKAGES PREMIUM PACKAGE 10.25 Digital Instrument Cluster Display, KEYLESS GO® Package, KEYLESS GO®, HANDS-FREE ACCESS, Connect20, 10.25 Touchscreen Multimedia Display, Mirror Package, Auto-Dimming Rearview & Driver-Side Mirrors, Power Folding Side Mirrors, MULTIMEDIA PACKAGE Traffic Sign Assist, Augmented Video for Navigation, MB Navigation, Mercedes Me Essentials Package, Navigation Services, OTA Navigation Map Updates, BLIND SPOT ASSIST exit warning assist, WHEELS: 18 5-SPOKE W/BLACK ACCENTS Tires: 225/45R18, MOE Tires (Extended Mobility), SIRIUSXM RADIO free trial period, GARAGE DOOR OPENER.Moonroof, Nav System, Panoramic Roof, Full-Time 4MATIC® All-Wheel Drive, Back-Up Camera, BLIND SPOT ASSIST , GARAGE DOOR OPENER , WHEELS: 18 5-SPOKE W/BLACK ACCENTS, MULTIMEDIA PACKAGE, Turbo Charged Engine, PREMIUM PACKAGE. PREMIUM PACKAGE 10.25 Digital Instrument Cluster Display, KEYLESS GO® Package, KEYLESS GO®, HANDS-FREE ACCESS, Connect20, 10.25 Touchscreen Multimedia Display, Mirror Package, Auto-Dimming Rearview & Driver-Side Mirrors, Power Folding Side Mirrors, MULTIMEDIA PACKAGE Traffic Sign Assist, Augmented Video for Navigation, MB Navigation, Mercedes Me Essentials Package, Navigation Services, OTA Navigation Map Updates, BLIND SPOT ASSIST exit warning assist, WHEELS: 18 5-SPOKE W/BLACK ACCENTS Tires: 225/45R18, MOE Tires (Extended Mobility), SIRIUSXM RADIO free trial period, GARAGE DOOR OPENER. Heated Seats, Moonroof, iPod/MP3 Input, Flex Fuel, Full-Time 4MATIC® All-Wheel Drive, REAR SPOILER , Back-Up Camera, WHEELS: 18 5-SPOKE ALLOY, PREMIUM PACKAGE, BURL WALNUT WOOD TRIM, SMARTPHONE INTEGRATION, Turbo Charged Engine. SCHOMP AUTOMOTIVE GROUP: ONE PRICE. ONE PERSON. ONE HOUR. It's a promise we pioneered to consistently identify, respect, and exceed our clients' expectations. Seamless transactions with no surprises it's car buying redefined. Experience it firsthand only at Schomp Automotive. WHY BUY FROM MERCEDES-BENZ OF FARMINGTON? Mercedes-Benz of Farmington is a state-of-the-art facility that reflects the pristine quality of the brand we sell. Stop into our dealership to browse around our inventory or pick our your new luxury car today at 555 N. West Bourne Circle in Farmington, UT or call us at (801) 447-3300. OPTION PACKAGES PREMIUM PACKAGE KEYLESS GO®, Blind Spot Assist, Heated Front Seats, SiriusXM Satellite Radio, HANDS-FREE ACCESS, PANORAMA SUNROOF, WHEELS: 18 5-SPOKE ALLOY Tires: P225/40R18, SMARTPHONE INTEGRATION Android Auto, Apple CarPlay, Smartphone Integration (14U), REAR SPOILER. The 2019 Mercedes-Benz CLA is designed to capture admiring eyes. Its profile is sleek like a coupe, yet it offers room for five and the innovation that defines a Mercedes-Benz. From its diamond-block grille to its LED taillamps, there may be no car on the road offering such eye-catching style. From its wing-like dash, big yet sleek 8in screen and high-back power front sport seats, the CLA cabin sets you apart from the crowd. A 208hp turbo inline-4 turns less fuel into more torque with advanced direct injection and rapid-multispark ignition. You also have the choice of the AMG® CLA 45's handcrafted engine pours out 375hp and 26.1 psi of maximum turbo boost, the most of any 4-cylinder engine in production. ECO Start/Stop automatically pauses the engine at red lights to save fuel, while dynamic select lets you dial in a mode to fit your driving mood. The 7-speed DCT transmission gives you fuel-friendly and fun like a manual, with the relaxing comfort of an automatic. The racing-derived dual-clutch design makes every shift lightning-quick yet liquid-smooth. Quick to respond and remarkably efficient, variable-torque 4MATIC® all-wheel drive can take this car to higher levels of agility and all-season confidence. The CLA offers a range of convenient features including an 8in color screen, Bluetooth® integration, navigation, premium sound system, Apple CarPlay and Android Auto compatibility, remote start, remote lock/unlock and built-in Wi-Fi. You’ll also find a comprehensive suite of safety features such as active brake assist, attention assist, blind spot assist, lane keeping assist, distance assist, and active cruise control.Heated Seats, Moonroof, iPod/MP3 Input, Flex Fuel, Full-Time 4MATIC® All-Wheel Drive, REAR SPOILER , Back-Up Camera, WHEELS: 18 5-SPOKE ALLOY, PREMIUM PACKAGE, BURL WALNUT WOOD TRIM, SMARTPHONE INTEGRATION, Turbo Charged Engine. PREMIUM PACKAGE KEYLESS GO®, Blind Spot Assist, Heated Front Seats, SiriusXM Satellite Radio, HANDS-FREE ACCESS, PANORAMA SUNROOF, WHEELS: 18 5-SPOKE ALLOY Tires: P225/40R18, SMARTPHONE INTEGRATION Android Auto, Apple CarPlay, Smartphone Integration (14U), REAR SPOILER. Heated Seats, Moonroof, Back-Up Camera, Flex Fuel, Power Liftgate, BLACK ASH MATTE WOOD TRIM, SMARTPHONE INTEGRATION, PANORAMA SUNROOF, PREMIUM PACKAGE, Turbo Charged, Full-Time 4MATIC® All-Wheel Drive, Aluminum Wheels. SCHOMP AUTOMOTIVE GROUP: ONE PRICE. ONE PERSON. ONE HOUR. It's a promise we pioneered to consistently identify, respect, and exceed our clients' expectations. Seamless transactions with no surprises it's car buying redefined. Experience it firsthand only at Schomp Automotive. WHY BUY FROM MERCEDES-BENZ OF FARMINGTON? Mercedes-Benz of Farmington is a state-of-the-art facility that reflects the pristine quality of the brand we sell. Stop into our dealership to browse around our inventory or pick our your new luxury car today at 555 N. West Bourne Circle in Farmington, UT or call us at (801) 447-3300. OPTION PACKAGES PREMIUM PACKAGE KEYLESS GO®, Blind Spot Assist, Heated Front Seats, SIRIUSXM Satellite Radio, HANDS-FREE ACCESS, SMARTPHONE INTEGRATION Android Auto, Apple CarPlay, Smartphone Integration (14U) The 2019 Mercedes-Benz GLA is agile, adventurous and adaptable. Taut, trim and muscular, the GLA is big on style from its iconic grille to its LED taillamps. Big 18in or 19in wheels and black fender flares lend a confident stance, while chrome and aluminum add elegant accents to the bumpers and roof. With available hands-free access, just a kick under the bumper can open the standard power liftgate. It's a grand opening to a generous 43.6 cu ft of cargo room with the rear seats folded, or a generous trunk with all five seats in use. Under the hood, you’ll find turbo power and two liters of pure energy. With 208 turbocharged horsepower, the GLA quenches your thirst for performance with a minimal appetite for fuel. Advanced direct injection and multispark ignition self-tune on the fly, to keep your enthusiasm at full boost. The 7G-DCT transmission offers the smooth refinement of an automatic with sporty reflexes. Its dual-clutch design shifts faster than a human can, while its shift paddles let you take charge of its seven speeds anytime. Available variable-torque 4MATIC® all-wheel drive can sense the very onset of wheel slip, and instantly reapportion up to half of the engine's power to the rear wheels on demand, plus off-road mode makes the GLA even more capable. Dynamic select dials in the GLA's performance character with the tap of a console button. Throttle, shifting and more sharpen in Sport mode, ease up in ECO, keep calm in Comfort and there's even a mode you can set up yourself. The GLA offers a range of convenient features including an 8in color display, Bluetooth® integration, Apple CarPlay and Android Auto compatibility, remote start, remote lock/unlock and built-in Wi-Fi.Heated Seats, Moonroof, Back-Up Camera, Flex Fuel, Power Liftgate, BLACK ASH MATTE WOOD TRIM, SMARTPHONE INTEGRATION, PANORAMA SUNROOF, PREMIUM PACKAGE, Turbo Charged, Full-Time 4MATIC® All-Wheel Drive, Aluminum Wheels. Moonroof, Heated Seats, Back-Up Camera, Flex Fuel, Power Liftgate, SATIN BROWN POPLAR WOOD TRIM, SMARTPHONE INTEGRATION, PANORAMA SUNROOF, PREMIUM PACKAGE, Turbo Charged Engine, Full-Time 4MATIC® All-Wheel Drive, Aluminum Wheels. SCHOMP AUTOMOTIVE GROUP: ONE PRICE. ONE PERSON. ONE HOUR. It's a promise we pioneered to consistently identify, respect, and exceed our clients' expectations. Seamless transactions with no surprises it's car buying redefined. Experience it firsthand only at Schomp Automotive. WHY BUY FROM MERCEDES-BENZ OF FARMINGTON? Mercedes-Benz of Farmington is a state-of-the-art facility that reflects the pristine quality of the brand we sell. Stop into our dealership to browse around our inventory or pick our your new luxury car today at 555 N. West Bourne Circle in Farmington, UT or call us at (801) 447-3300. OPTION PACKAGES PREMIUM PACKAGE KEYLESS GO®, Blind Spot Assist, Heated Front Seats, SIRIUSXM Satellite Radio, HANDS-FREE ACCESS, SMARTPHONE INTEGRATION Android Auto, Apple CarPlay, Smartphone Integration (14U) The 2019 Mercedes-Benz GLA is agile, adventurous and adaptable. Taut, trim and muscular, the GLA is big on style from its iconic grille to its LED taillamps. Big 18in or 19in wheels and black fender flares lend a confident stance, while chrome and aluminum add elegant accents to the bumpers and roof. With available hands-free access, just a kick under the bumper can open the standard power liftgate. It's a grand opening to a generous 43.6 cu ft of cargo room with the rear seats folded, or a generous trunk with all five seats in use. Under the hood, you’ll find turbo power and two liters of pure energy. With 208 turbocharged horsepower, the GLA quenches your thirst for performance with a minimal appetite for fuel. Advanced direct injection and multispark ignition self-tune on the fly, to keep your enthusiasm at full boost. The 7G-DCT transmission offers the smooth refinement of an automatic with sporty reflexes. Its dual-clutch design shifts faster than a human can, while its shift paddles let you take charge of its seven speeds anytime. Available variable-torque 4MATIC® all-wheel drive can sense the very onset of wheel slip, and instantly reapportion up to half of the engine's power to the rear wheels on demand, plus off-road mode makes the GLA even more capable. Dynamic select dials in the GLA's performance character with the tap of a console button. Throttle, shifting and more sharpen in Sport mode, ease up in ECO, keep calm in Comfort and there's even a mode you can set up yourself. The GLA offers a range of convenient features including an 8in color display, Bluetooth® integration, Apple CarPlay and Android Auto compatibility, remote start, remote lock/unlock and built-in Wi-Fi.Moonroof, Heated Seats, Back-Up Camera, Flex Fuel, Power Liftgate, SATIN BROWN POPLAR WOOD TRIM, SMARTPHONE INTEGRATION, PANORAMA SUNROOF, PREMIUM PACKAGE, Turbo Charged Engine, Full-Time 4MATIC® All-Wheel Drive, Aluminum Wheels. NAV, Heated Seats, Sunroof, Panoramic Roof, Full-Time 4MATIC® All-Wheel Drive, Back-Up Camera, Turbo, SIRIUSXM RADIO , HEATED FRONT SEATS , BLIND SPOT ASSIST , MULTIMEDIA PACKAGE , WHEELS: 18 5-SPOKE W/BLACK ACCENTS, PREMIUM PACKAGE. SCHOMP AUTOMOTIVE GROUP: ONE PRICE. ONE PERSON. ONE HOUR. It's a promise we pioneered to consistently identify, respect, and exceed our clients' expectations. Seamless transactions with no surprises it's car buying redefined. Experience it firsthand only at Schomp Automotive. WHY BUY FROM MERCEDES-BENZ OF FARMINGTON? Mercedes-Benz of Farmington is a state-of-the-art facility that reflects the pristine quality of the brand we sell. Stop into our dealership to browse around our inventory or pick our your new luxury car today at 555 N. West Bourne Circle in Farmington, UT or call us at (801) 447-3300. OPTION PACKAGES PREMIUM PACKAGE 10.25 Digital Instrument Cluster Display, KEYLESS GO® Package, KEYLESS GO®, HANDS-FREE ACCESS, Connect20, 10.25 Touchscreen Multimedia Display, Mirror Package, Auto-Dimming Rearview & Driver-Side Mirrors, Power Folding Side Mirrors, MULTIMEDIA PACKAGE Traffic Sign Assist, Augmented Video for Navigation, MB Navigation, Mercedes Me Essentials Package, Navigation Services, OTA Navigation Map Updates, HEATED FRONT SEATS, BLIND SPOT ASSIST exit warning assist, WHEELS: 18 5-SPOKE W/BLACK ACCENTS Tires: 225/45R18, MOE Tires (Extended Mobility), SIRIUSXM RADIO free trial period, NATURAL GRAIN BLACK LINDEN WOOD TRIM, GARAGE DOOR OPENER.NAV, Heated Seats, Sunroof, Panoramic Roof, Full-Time 4MATIC® All-Wheel Drive, Back-Up Camera, Turbo, SIRIUSXM RADIO , HEATED FRONT SEATS , BLIND SPOT ASSIST , MULTIMEDIA PACKAGE , WHEELS: 18 5-SPOKE W/BLACK ACCENTS, PREMIUM PACKAGE. Heated Seats, Sunroof, Full-Time 4MATIC® All-Wheel Drive, Back-Up Camera, CD Player, iPod/MP3 Input, LED HEADLAMPS, SMARTPHONE INTEGRATION, REAR SPOILER, PANORAMA SUNROOF, BURL WALNUT WOOD TRIM, Turbo, Alloy Wheels. SCHOMP AUTOMOTIVE GROUP: ONE PRICE. ONE PERSON. ONE HOUR. It's a promise we pioneered to consistently identify, respect, and exceed our clients' expectations. Seamless transactions with no surprises it's car buying redefined. Experience it firsthand only at Schomp Automotive. WHY BUY FROM MERCEDES-BENZ OF FARMINGTON? Mercedes-Benz of Farmington is a state-of-the-art facility that reflects the pristine quality of the brand we sell. Stop into our dealership to browse around our inventory or pick our your new luxury car today at 555 N. West Bourne Circle in Farmington, UT or call us at (801) 447-3300. OPTION PACKAGES PREMIUM PACKAGE KEYLESS GO®, Blind Spot Assist, Heated Front Seats, SiriusXM Satellite Radio, HANDS-FREE ACCESS, WHEELS: 18 5-SPOKE ALLOY Tires: P225/40R18, SMARTPHONE INTEGRATION Android Auto, Apple CarPlay, Smartphone Integration (14U) The 2019 Mercedes-Benz CLA is designed to capture admiring eyes. Its profile is sleek like a coupe, yet it offers room for five and the innovation that defines a Mercedes-Benz. From its diamond-block grille to its LED taillamps, there may be no car on the road offering such eye-catching style. From its wing-like dash, big yet sleek 8in screen and high-back power front sport seats, the CLA cabin sets you apart from the crowd. A 208hp turbo inline-4 turns less fuel into more torque with advanced direct injection and rapid-multispark ignition. You also have the choice of the AMG® CLA 45's handcrafted engine pours out 375hp and 26.1 psi of maximum turbo boost, the most of any 4-cylinder engine in production. ECO Start/Stop automatically pauses the engine at red lights to save fuel, while dynamic select lets you dial in a mode to fit your driving mood. The 7-speed DCT transmission gives you fuel-friendly and fun like a manual, with the relaxing comfort of an automatic. The racing-derived dual-clutch design makes every shift lightning-quick yet liquid-smooth. Quick to respond and remarkably efficient, variable-torque 4MATIC® all-wheel drive can take this car to higher levels of agility and all-season confidence. The CLA offers a range of convenient features including an 8in color screen, Bluetooth® integration, navigation, premium sound system, Apple CarPlay and Android Auto compatibility, remote start, remote lock/unlock and built-in Wi-Fi. You’ll also find a comprehensive suite of safety features such as active brake assist, attention assist, blind spot assist, lane keeping assist, distance assist, and active cruise control.Heated Seats, Sunroof, Full-Time 4MATIC® All-Wheel Drive, Back-Up Camera, CD Player, iPod/MP3 Input, LED HEADLAMPS, SMARTPHONE INTEGRATION, REAR SPOILER, PANORAMA SUNROOF, BURL WALNUT WOOD TRIM, Turbo, Alloy Wheels. Heated Seats, Sunroof, Full-Time 4MATIC® All-Wheel Drive, Back-Up Camera, iPod/MP3 Input, Flex Fuel, LED HEADLAMPS, harman/kardon® SOUND SYSTEM, REAR SPOILER, PANORAMA SUNROOF, SMARTPHONE INTEGRATION, Turbo Charged, PREMIUM PACKAGE. KEY FEATURES INCLUDE Full-Time 4MATIC® All-Wheel Drive, Back-Up Camera, Turbocharged, Flex Fuel, iPod/MP3 Input Mercedes-Benz CLA 250 with Lunar Blue Metallic exterior and Crystal Grey MB-Tex interior features a 4 Cylinder Engine with 208 HP at 5500 RPM*. OPTION PACKAGES PREMIUM PACKAGE KEYLESS GO®, Heated Front Seats, Blind Spot Assist, SiriusXM Satellite Radio, HANDS-FREE ACCESS, PANORAMA SUNROOF, harman/kardon® SOUND SYSTEM, LED HEADLAMPS, WHEELS: 18 5-SPOKE ALLOY Tires: P225/40R18, SMARTPHONE INTEGRATION Android Auto, Apple CarPlay, Smartphone Integration (14U), BURL WALNUT WOOD TRIM, REAR SPOILER. EXPERTS RAVE KBB.com explains It offers solid performance, good handling, and a cool style that closely resembles the much more expensive CLS.. WHY BUY FROM US Mercedes-Benz of Farmington is a state-of-the-art facility that reflects the pristine quality of the brand we sell. Stop into our dealership to browse around our inventory or pick our your new luxury car today at 555 N. West Bourne Circle in Farmington, UT or call us at (801) 447-3300. Horsepower calculations based on trim engine configuration. Please confirm the accuracy of the included equipment by calling us prior to purchase. Even when still, it is evident the 2018 Mercedes-Benz CLA boasts athletic performance in its restyled, refined shape. With aggressive new styling, the CLA demands attention with 18in AMG® wheels and a chrome diamond-block grille. Available new LED headlamps integrate LED Daytime Running Lamps that arch into the side profile, giving the CLA a sporty edge. The 208hp 2.0L inline-4 engine combines turbocharging with numerous advances to deliver more power from less fuel. Its rapid-multispark ignition and high-pressure Direct Injection can fine-tune themselves in milliseconds. Twin-scroll turbo quickly spins up to 230,000 rpm to boost response, with all 258 lb-ft of torque on tap at just 1,250 rpm. An ECO Start/Stop system automatically shuts off the engine at stoplights and other idle situations, to save fuel and reduce emissions. Comfort isn’t sacrificed for luxury, the CLA cabin is truly a well-crafted home created with the driver as the main focus. Deep contours and integrated head restraints spill from the front seats to the back, giving optimum support to drive and passengers. Available Apple CarPlay and Android Audio bring entirely new interfaces to the CLA’s cockpit. An advanced system of 8 air bags includes dual two-stage front air bags, front side-impact head/torso air bags, dual front knee air bags, and side curtain air bags for both seating rows. The first system of its kind, ATTENTION ASSIST® continuously monitors different parameters of driving behavior, and can automatically alert the driver with both visual and audible warnings if it detects signs of drowsiness on long trips.Heated Seats, Sunroof, Full-Time 4MATIC® All-Wheel Drive, Back-Up Camera, iPod/MP3 Input, Flex Fuel, LED HEADLAMPS, harman/kardon® SOUND SYSTEM, REAR SPOILER, PANORAMA SUNROOF, SMARTPHONE INTEGRATION, Turbo Charged, PREMIUM PACKAGE. Full-Time 4MATIC® All-Wheel Drive, Back-Up Camera, Turbocharged, Flex Fuel, iPod/MP3 Input Mercedes-Benz CLA 250 with Lunar Blue Metallic exterior and Crystal Grey MB-Tex interior features a 4 Cylinder Engine with 208 HP at 5500 RPM*. PREMIUM PACKAGE KEYLESS GO®, Heated Front Seats, Blind Spot Assist, SiriusXM Satellite Radio, HANDS-FREE ACCESS, PANORAMA SUNROOF, harman/kardon® SOUND SYSTEM, LED HEADLAMPS, WHEELS: 18 5-SPOKE ALLOY Tires: P225/40R18, SMARTPHONE INTEGRATION Android Auto, Apple CarPlay, Smartphone Integration (14U), BURL WALNUT WOOD TRIM, REAR SPOILER. KBB.com explains It offers solid performance, good handling, and a cool style that closely resembles the much more expensive CLS.. Heated Seats, Turbo, Full-Time 4MATIC® All-Wheel Drive, Power Liftgate, Alloy Wheels, Back-Up Camera. SCHOMP AUTOMOTIVE GROUP: ONE PRICE. ONE PERSON. ONE HOUR. It's a promise we pioneered to consistently identify, respect, and exceed our clients' expectations. Seamless transactions with no surprises it's car buying redefined. Experience it firsthand only at Schomp Automotive. WHY BUY FROM MERCEDES-BENZ OF FARMINGTON? Mercedes-Benz of Farmington is a state-of-the-art facility that reflects the pristine quality of the brand we sell. Stop into our dealership to browse around our inventory or pick our your new luxury car today at 555 N. West Bourne Circle in Farmington, UT or call us at (801) 447-3300. The 2019 Mercedes-Benz GLC reasserts the sport in SUV.. A long wheelbase, big wheels and wide track add up to space, stability and sportiness. Crisp proportions and chrome details reflect its ideal balance of athleticism and elegance. Venture through wide rear doors to the 40/20/40-split rear seats and load more with the standard power liftgate. There's something for everyone to enjoy in the GLC, from handcrafted Nappa leather to heated front and rear seats, multicolor ambient lighting, new 3-zone climate control, and a giant Panorama roof. The turbocharged GLC 300 and GLC 300 4MATIC® are both energetic and energy-conscious. They embrace® the road and your passion for driving with composed comfort and a feeling of confident control. With 241hp and nine speeds, this turbocharged SUV can rush to 60 in just 6.3 seconds. The advanced direct injection and multispark ignition can self-tune in milliseconds to optimize performance and efficiency. 4MATIC® all-wheel drive continually sends the engine's torque to the wheels that can put it to the best use.. The 9G-TRONIC automatic is smooth, sporty and smart, while dynamic select lets you dial in the GLC's driving character, from enthusiastic Sport mode to easygoing ECO and there's even a mode you can set up as you like. The GLC offers a range of convenient features for staying connected on the road, including Bluetooth® integration, navigation, Apple CarPlay and Android Auto compatibility, intuitive touchscreen controls, remote start, remote lock/unlock and built-in Wi-Fi. You’ll also find a comprehensive suite of safety features such advanced driving assists and radar.Heated Seats, Turbo, Full-Time 4MATIC® All-Wheel Drive, Power Liftgate, Alloy Wheels, Back-Up Camera. Heated Seats, Moonroof, Full-Time 4MATIC® All-Wheel Drive, Power Liftgate, Flex Fuel, Back-Up Camera, WHEELS: 19 5-TWIN-SPOKE, MATTE BLACK. FULL LED HEADLAMPS, CONVENIENCE PACKAGE, PANORAMA SUNROOF, PREMIUM PACKAGE. SCHOMP AUTOMOTIVE GROUP: ONE PRICE. ONE PERSON. ONE HOUR. It's a promise we pioneered to consistently identify, respect, and exceed our clients' expectations. Seamless transactions with no surprises it's car buying redefined. Experience it firsthand only at Schomp Automotive. WHY BUY FROM MERCEDES-BENZ OF FARMINGTON? Mercedes-Benz of Farmington is a state-of-the-art facility that reflects the pristine quality of the brand we sell. Stop into our dealership to browse around our inventory or pick our your new luxury car today at 555 N. West Bourne Circle in Farmington, UT or call us at (801) 447-3300. OPTION PACKAGES PREMIUM PACKAGE KEYLESS GO®, Blind Spot Assist, Heated Front Seats, SIRIUSXM Satellite Radio, HANDS-FREE ACCESS, RADIO: harman/kardon® PREMIUM SOUND SYSTEM, FULL LED HEADLAMPS, WHEELS: 19 5-TWIN-SPOKE, MATTE BLACK Tires: 235/45R19 All-Season, CONVENIENCE PACKAGE Garage Door Opener, Auto-Dimming Rearview & Driver-Side Mirrors, SMARTPHONE INTEGRATION Android Auto, Apple CarPlay, Smartphone Integration (14U), SATIN BROWN POPLAR WOOD TRIM. The 2019 Mercedes-Benz GLA is agile, adventurous and adaptable. Taut, trim and muscular, the GLA is big on style from its iconic grille to its LED taillamps. Big 18in or 19in wheels and black fender flares lend a confident stance, while chrome and aluminum add elegant accents to the bumpers and roof. With available hands-free access, just a kick under the bumper can open the standard power liftgate. It's a grand opening to a generous 43.6 cu ft of cargo room with the rear seats folded, or a generous trunk with all five seats in use. Under the hood, you’ll find turbo power and two liters of pure energy. With 208 turbocharged horsepower, the GLA quenches your thirst for performance with a minimal appetite for fuel. Advanced direct injection and multispark ignition self-tune on the fly, to keep your enthusiasm at full boost. The 7G-DCT transmission offers the smooth refinement of an automatic with sporty reflexes. Its dual-clutch design shifts faster than a human can, while its shift paddles let you take charge of its seven speeds anytime. Available variable-torque 4MATIC® all-wheel drive can sense the very onset of wheel slip, and instantly reapportion up to half of the engine's power to the rear wheels on demand, plus off-road mode makes the GLA even more capable. Dynamic select dials in the GLA's performance character with the tap of a console button. Throttle, shifting and more sharpen in Sport mode, ease up in ECO, keep calm in Comfort and there's even a mode you can set up yourself. The GLA offers a range of convenient features including an 8in color display, Bluetooth® integration, Apple CarPlay and Android Auto compatibility, remote start, remote lock/unlock and built-in Wi-Fi.Heated Seats, Moonroof, Full-Time 4MATIC® All-Wheel Drive, Power Liftgate, Flex Fuel, Back-Up Camera, WHEELS: 19 5-TWIN-SPOKE, MATTE BLACK. FULL LED HEADLAMPS, CONVENIENCE PACKAGE, PANORAMA SUNROOF, PREMIUM PACKAGE. PREMIUM PACKAGE KEYLESS GO®, Blind Spot Assist, Heated Front Seats, SIRIUSXM Satellite Radio, HANDS-FREE ACCESS, RADIO: harman/kardon® PREMIUM SOUND SYSTEM, FULL LED HEADLAMPS, WHEELS: 19 5-TWIN-SPOKE, MATTE BLACK Tires: 235/45R19 All-Season, CONVENIENCE PACKAGE Garage Door Opener, Auto-Dimming Rearview & Driver-Side Mirrors, SMARTPHONE INTEGRATION Android Auto, Apple CarPlay, Smartphone Integration (14U), SATIN BROWN POPLAR WOOD TRIM. Sunroof, Heated Seats, Full-Time 4MATIC® All-Wheel Drive, Power Liftgate, Flex Fuel, Back-Up Camera, Turbo, WHEELS: 19 5-TWIN-SPOKE, MATTE BLACK. FULL LED HEADLAMPS, CONVENIENCE PACKAGE, PANORAMA SUNROOF, Alloy Wheels. SCHOMP AUTOMOTIVE GROUP: ONE PRICE. ONE PERSON. ONE HOUR. It's a promise we pioneered to consistently identify, respect, and exceed our clients' expectations. Seamless transactions with no surprises it's car buying redefined. Experience it firsthand only at Schomp Automotive. WHY BUY FROM MERCEDES-BENZ OF FARMINGTON? Mercedes-Benz of Farmington is a state-of-the-art facility that reflects the pristine quality of the brand we sell. Stop into our dealership to browse around our inventory or pick our your new luxury car today at 555 N. West Bourne Circle in Farmington, UT or call us at (801) 447-3300. OPTION PACKAGES PREMIUM PACKAGE KEYLESS GO®, Blind Spot Assist, Heated Front Seats, SIRIUSXM Satellite Radio, HANDS-FREE ACCESS, RADIO: harman/kardon® PREMIUM SOUND SYSTEM, FULL LED HEADLAMPS, WHEELS: 19 5-TWIN-SPOKE, MATTE BLACK Tires: 235/45R19 All-Season, CONVENIENCE PACKAGE Garage Door Opener, Auto-Dimming Rearview & Driver-Side Mirrors, SMARTPHONE INTEGRATION Android Auto, Apple CarPlay, Smartphone Integration (14U), BLACK ASH MATTE WOOD TRIM. The 2019 Mercedes-Benz GLA is agile, adventurous and adaptable. Taut, trim and muscular, the GLA is big on style from its iconic grille to its LED taillamps. Big 18in or 19in wheels and black fender flares lend a confident stance, while chrome and aluminum add elegant accents to the bumpers and roof. With available hands-free access, just a kick under the bumper can open the standard power liftgate. It's a grand opening to a generous 43.6 cu ft of cargo room with the rear seats folded, or a generous trunk with all five seats in use. Under the hood, you’ll find turbo power and two liters of pure energy. With 208 turbocharged horsepower, the GLA quenches your thirst for performance with a minimal appetite for fuel. Advanced direct injection and multispark ignition self-tune on the fly, to keep your enthusiasm at full boost. The 7G-DCT transmission offers the smooth refinement of an automatic with sporty reflexes. Its dual-clutch design shifts faster than a human can, while its shift paddles let you take charge of its seven speeds anytime. Available variable-torque 4MATIC® all-wheel drive can sense the very onset of wheel slip, and instantly reapportion up to half of the engine's power to the rear wheels on demand, plus off-road mode makes the GLA even more capable. Dynamic select dials in the GLA's performance character with the tap of a console button. Throttle, shifting and more sharpen in Sport mode, ease up in ECO, keep calm in Comfort and there's even a mode you can set up yourself. The GLA offers a range of convenient features including an 8in color display, Bluetooth® integration, Apple CarPlay and Android Auto compatibility, remote start, remote lock/unlock and built-in Wi-Fi.Sunroof, Heated Seats, Full-Time 4MATIC® All-Wheel Drive, Power Liftgate, Flex Fuel, Back-Up Camera, Turbo, WHEELS: 19 5-TWIN-SPOKE, MATTE BLACK. FULL LED HEADLAMPS, CONVENIENCE PACKAGE, PANORAMA SUNROOF, Alloy Wheels. PREMIUM PACKAGE KEYLESS GO®, Blind Spot Assist, Heated Front Seats, SIRIUSXM Satellite Radio, HANDS-FREE ACCESS, RADIO: harman/kardon® PREMIUM SOUND SYSTEM, FULL LED HEADLAMPS, WHEELS: 19 5-TWIN-SPOKE, MATTE BLACK Tires: 235/45R19 All-Season, CONVENIENCE PACKAGE Garage Door Opener, Auto-Dimming Rearview & Driver-Side Mirrors, SMARTPHONE INTEGRATION Android Auto, Apple CarPlay, Smartphone Integration (14U), BLACK ASH MATTE WOOD TRIM. Heated Seats, Back-Up Camera, Power Liftgate, PREMIUM PACKAGE, BLIND SPOT ASSIST, SMARTPHONE INTEGRATION PACKAGE, Full-Time 4MATIC® All-Wheel Drive, Turbo Charged Engine, Aluminum Wheels. SCHOMP AUTOMOTIVE GROUP: ONE PRICE. ONE PERSON. ONE HOUR. It's a promise we pioneered to consistently identify, respect, and exceed our clients' expectations. Seamless transactions with no surprises it's car buying redefined. Experience it firsthand only at Schomp Automotive. WHY BUY FROM MERCEDES-BENZ OF FARMINGTON? Mercedes-Benz of Farmington is a state-of-the-art facility that reflects the pristine quality of the brand we sell. Stop into our dealership to browse around our inventory or pick our your new luxury car today at 555 N. West Bourne Circle in Farmington, UT or call us at (801) 447-3300. OPTION PACKAGES PREMIUM PACKAGE KEYLESS GO®, SiriusXM Satellite Radio, SMARTPHONE INTEGRATION PACKAGE Android Auto, Apple CarPlay, Smartphone Integration. The 2019 Mercedes-Benz GLC reasserts the sport in SUV.. A long wheelbase, big wheels and wide track add up to space, stability and sportiness. Crisp proportions and chrome details reflect its ideal balance of athleticism and elegance. Venture through wide rear doors to the 40/20/40-split rear seats and load more with the standard power liftgate. There's something for everyone to enjoy in the GLC, from handcrafted Nappa leather to heated front and rear seats, multicolor ambient lighting, new 3-zone climate control, and a giant Panorama roof. The turbocharged GLC 300 and GLC 300 4MATIC® are both energetic and energy-conscious. They embrace® the road and your passion for driving with composed comfort and a feeling of confident control. With 241hp and nine speeds, this turbocharged SUV can rush to 60 in just 6.3 seconds. The advanced direct injection and multispark ignition can self-tune in milliseconds to optimize performance and efficiency. 4MATIC® all-wheel drive continually sends the engine's torque to the wheels that can put it to the best use.. The 9G-TRONIC automatic is smooth, sporty and smart, while dynamic select lets you dial in the GLC's driving character, from enthusiastic Sport mode to easygoing ECO and there's even a mode you can set up as you like. The GLC offers a range of convenient features for staying connected on the road, including Bluetooth® integration, navigation, Apple CarPlay and Android Auto compatibility, intuitive touchscreen controls, remote start, remote lock/unlock and built-in Wi-Fi. You’ll also find a comprehensive suite of safety features such advanced driving assists and radar.Heated Seats, Back-Up Camera, Power Liftgate, PREMIUM PACKAGE, BLIND SPOT ASSIST, SMARTPHONE INTEGRATION PACKAGE, Full-Time 4MATIC® All-Wheel Drive, Turbo Charged Engine, Aluminum Wheels. PREMIUM PACKAGE KEYLESS GO®, SiriusXM Satellite Radio, SMARTPHONE INTEGRATION PACKAGE Android Auto, Apple CarPlay, Smartphone Integration. Heated Seats, Back-Up Camera, Alloy Wheels, BLIND SPOT ASSIST, SMARTPHONE INTEGRATION PACKAGE, Power Liftgate, Full-Time 4MATIC® All-Wheel Drive, Turbo Charged. SCHOMP AUTOMOTIVE GROUP: ONE PRICE. ONE PERSON. ONE HOUR. It's a promise we pioneered to consistently identify, respect, and exceed our clients' expectations. Seamless transactions with no surprises it's car buying redefined. Experience it firsthand only at Schomp Automotive. WHY BUY FROM MERCEDES-BENZ OF FARMINGTON? Mercedes-Benz of Farmington is a state-of-the-art facility that reflects the pristine quality of the brand we sell. Stop into our dealership to browse around our inventory or pick our your new luxury car today at 555 N. West Bourne Circle in Farmington, UT or call us at (801) 447-3300. OPTION PACKAGES SMARTPHONE INTEGRATION PACKAGE Android Auto, Apple CarPlay, Smartphone Integration. The 2019 Mercedes-Benz GLC reasserts the sport in SUV.. A long wheelbase, big wheels and wide track add up to space, stability and sportiness. Crisp proportions and chrome details reflect its ideal balance of athleticism and elegance. Venture through wide rear doors to the 40/20/40-split rear seats and load more with the standard power liftgate. There's something for everyone to enjoy in the GLC, from handcrafted Nappa leather to heated front and rear seats, multicolor ambient lighting, new 3-zone climate control, and a giant Panorama roof. The turbocharged GLC 300 and GLC 300 4MATIC® are both energetic and energy-conscious. They embrace® the road and your passion for driving with composed comfort and a feeling of confident control. With 241hp and nine speeds, this turbocharged SUV can rush to 60 in just 6.3 seconds. The advanced direct injection and multispark ignition can self-tune in milliseconds to optimize performance and efficiency. 4MATIC® all-wheel drive continually sends the engine's torque to the wheels that can put it to the best use.. The 9G-TRONIC automatic is smooth, sporty and smart, while dynamic select lets you dial in the GLC's driving character, from enthusiastic Sport mode to easygoing ECO and there's even a mode you can set up as you like. The GLC offers a range of convenient features for staying connected on the road, including Bluetooth® integration, navigation, Apple CarPlay and Android Auto compatibility, intuitive touchscreen controls, remote start, remote lock/unlock and built-in Wi-Fi. You’ll also find a comprehensive suite of safety features such advanced driving assists and radar.Heated Seats, Back-Up Camera, Alloy Wheels, BLIND SPOT ASSIST, SMARTPHONE INTEGRATION PACKAGE, Power Liftgate, Full-Time 4MATIC® All-Wheel Drive, Turbo Charged. SMARTPHONE INTEGRATION PACKAGE Android Auto, Apple CarPlay, Smartphone Integration.